2 Base Jars - 1.5 fl. oz / 45 ml, 1 Bottle of Oil - 0.5 fl. oz / 15 ml A fresh start for hair and scalp. 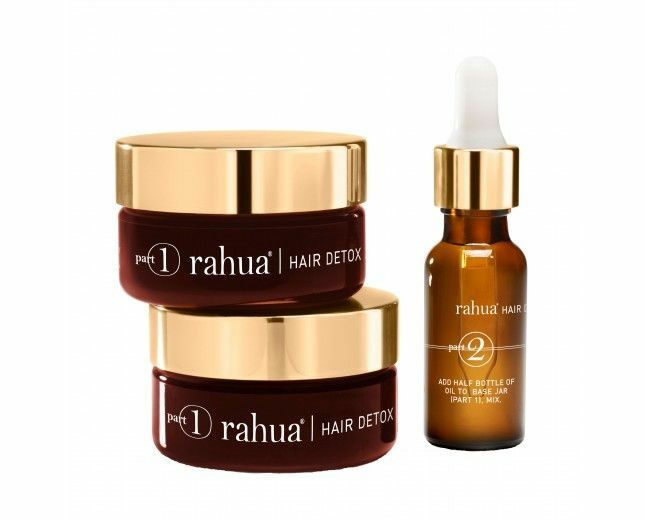 This innovative hair and scalp treatment is 100% plant derived, organic, vegan, gluten free and ideal for color treated hair. Formulated with the exclusive Symbiotic "rainforest grown" oil blend that you mix into a creamy detoxifying base before massaging into hair and scalp. It helps to loosen and remove synthetic product build up and environmental residue while infusing hair and scalp with much healthier plant based molecules. Hair will look and feel healthier, stronger and be revived to a more youthful-feeling state.